Hindustan Zinc has been working progressively towards setting up solar energy projects with an investment of Rs. 630 crore. Hindustan Zinc has installed solar roof top projects with a capacity of 100 KW each at Head Office-Udaipur and at Chanderiya Lead Zinc Smelter in January 2016. The Company is also looking to develop solar energy projects in other parts in the State of Rajasthan. In the first phase, the Company has set-up 16 MW solar energy projects with an investment of Rs. 80 crore. The second phase had 100 MW with an investment of Rs. 550 crore. “The energy produced is being utilized for captive use only. Out of 16 MW, 12 MW solar power projects was installed at Zinc Smelter Debari and remaining 4 MW was installed at Rajpura Dariba Mine of Hindustan Zinc in 2017..
Silver is a major raw material for solar panels used in the solar energy plants. While 40 tonnes of silver is required to produce panels that would generate 1 GW of solar power, Hindustan Zinc currently produces 600 tonnes of silver which is roughly around 95% of the country’s silver output. 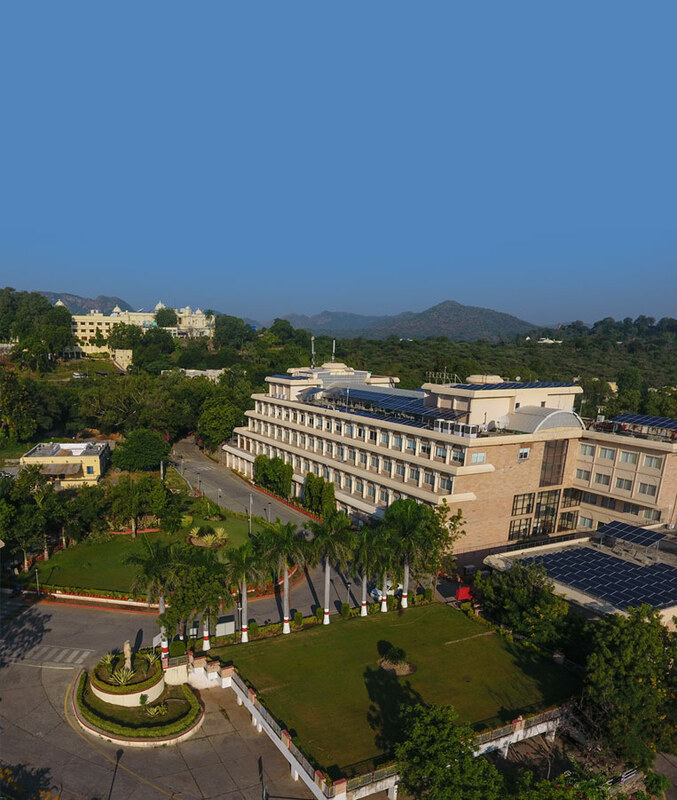 The Head Office of Hindustan Zinc at Udaipur currently runs on solar energy.